A not to be missed music festival celebrating the Argentine music and dance culture which, ultimately brought us Tango! The live performances will begin with a show of Argentine Folklore, followed by a folklore concert. 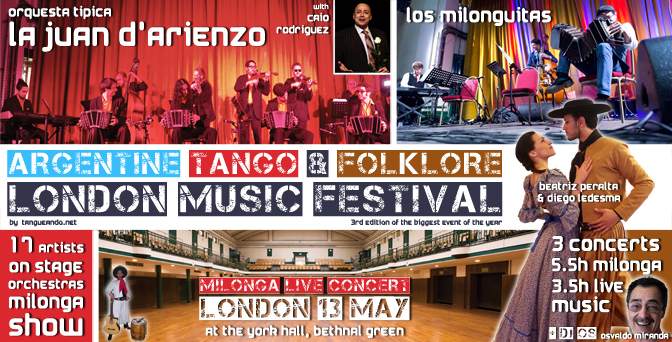 The ten-piece orchestra "La Juan D'arienzo", famous in all the milongas of Buenos Aires and around the world will be in London for a massive milonga and TRIPLE CONCERT also performing are the fastest rising tango trio from Argentina: "Los Milonguitas"! Los Milonguitas will also join Diego Javier Ledesma for the opening Argentine Folklore concert. Opened in 1929 by the Duke of York, initially as public baths, York Hall is a beautiful neo-Georgian grade II listed building. York Hall provides the biggest sprung oak floor without pillars in London. The main hall alone provides over 550m2 of floorspace, with ample space for seating, socialising and dancing. We consider sound quality as the most important technical aspect of our concerts & events. We believe the sound system should serve the musicians first and our budget last, since great performances are nothing without a great sound system. We have, therefore, employed again our trusted partners in professional concert sound systems with experience in organising some of the biggest concerts in the country. The chosen high-end sound system is a state-of-the-art intelligent array using automated optimisation to deliver the high quality of sound on the dancefloor while at the site time delivering a clear, high quality sound at the balcony above, with minimum interference from the dancefloor below. The sound system will be managed and continually reconfigured as necessary by professional sound engineers to ensure the highest possible sound quality. Osvaldo Miranda was one of the initiators of the historical milonga at "The Dome" in Tufnell Park and its resident DJ for almost 15 years before he moved back to Argentina. Osvaldo DJ's in various milongas in Buenos Aires as well as in milongas and international festivals in Asia and Europe. This May, Osvaldo is back to London for this unique event and he is in his usual mood: fiesta! Photography and video is allowed for personal use and publishing on social media is welcome. We kindly ask to tag Tangueando.net on Facebook and/or the relevant FB or Google+ event, where possible, so that the experience is shared widely. The venue runs a fully-licensed bar which serves snacks, wine and spirits. This year the food will be provided by a Lebanese caterer, offering quality mediterranean and middle eastern cuisine with a variety of meat and vegetarian dishes. We have chosen them as caterers because of the quality and variety of food they offer, and because they are dedicated to pleasing the palate. There are four meat and two vegetarian meal options available for pre-order. Pre-ordered meals will be prioritised and will be available at the time of the show and part of the Folklore concert (between 6:30–7:00pm), to enjoy while watching the show and to avoid waiting. The number of tables and available seats at a table is limited and must be pre-booked, either as individual seats or as entire table (sits 10). Individual table seats and entire tables can be booked separately and are named. Your table seating allocation will be indicated when you arrive at the festival. There will be a small number of chairs around the venue which will be available on a first-come first-served and sharing basis. There is also seating available at the balcony above the dance floor and, although intended for concert-only attendants, full MILONGA LIVE CONCERT attendees will be allowed access after 8pm, subject to availability. 4 minutes walk from Bethnal Green (London Underground, Central line, Zone 2). 5 minutes walk from Cambridge Heath station (Network Rail, Zone 2). Close to Liverpool Street (Stansted ), via tube (central line) or bus (388). Bus routes: 106, 254, 309, 388, D3, D6, N253. or A501/A100 from central and south London. There is plenty of off-street parking on the streets around York Hall, which is free on Sunday. By arriving earlier you improve your chances of finding parking faster and closer to the venue. Due to the size and capacity of the venue, security personnel is required by both the venue and our insurance providers and this requirement is in line with Tower Hamlets council recommendations. We therefore employ the services of trusted security professionals during the event. Bags will be searched and certain items may be retained at the entrance, as per the security policy defined by the venue. You will be able to retrieve these items on your way out. Tangueando is an Argentine Tango Dance School and events organiser based in Cambridge. Our goal is to spread knowledge and understanding of Argentine Tango and the culture behind it, so that its rich cultural heritage can be better understood. In this way, through the music and dance of Tango, we are building a cultural bridge between Europe and Argentina and connect with each-other within an embrace. We met tango through the music first, then following with dancing years later and we always enjoy dancing to live music. We are dedicated to creating quality live music dance events, events we would not want to miss, events that celebrate the music that makes us all dance. This way we discovered there are many more like us out there! In its 3rd UK edition, the event is expanding to an international festival celebrating the Argentine music and culture with a show and a concert of Argentine Folklore, followed by two concerts in two parts each of the most danceable Tango music today! It will be a unique experience for dancers who love dancing to the music of Juan D'Arienzo and to a big variety of tangos, valses and milongas, live! Join us and enjoy a great night of dancing to the best Argentine Tango music available to dance live to: Orquesta Tipica La Juan D'arienzo & Los Milonguitas. 5.5 hours of milonga of which more than 3 to live music! There will also be chacarera dancing during the Folklore concert. This is a unique event, characterised by the multiple concerts on the same evening and the sheer amount of live music to dance too. A one-day festival of music, combined with a large-scale traditional milonga and cabaret, akin to grand events of yesteryear, in a venue that matches the content. La Juan D'arienzo Tango Orchestra comprises an exciting new generation of tango musicians and was formed in 2012 with the aim of keeping alive the unmistakable style of the composer Juan D'Arienzo. It is also the only tango orchestra which owns the original scores of Juan D'Arienzo (through his grandson, the leader of Orquesta Tipica La Juan D'arienzo) and which stays true to the Juan D'Arienzo style. The orchestra, which comprises four bandoneons, four violins, a double bass and a piano, released their first CD, "Cortando Clavos", in September 2014. In 2014, the orchestra toured part of Europe and Brazil; In 2015 they visited Asia and Europe, where they also debuted in London. In a very short period of time, the orchestra has become a worldwide success. 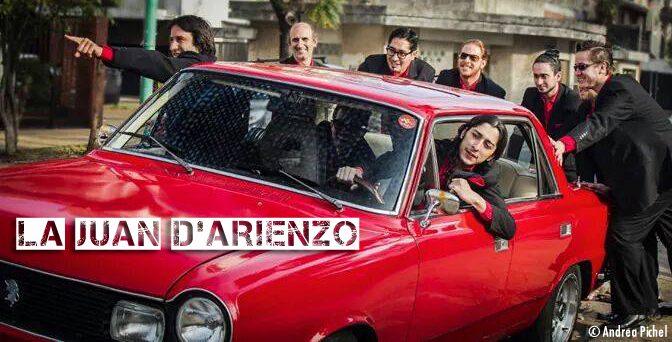 They are now undertaking their eighth International Tour, during which they present their latest CD "Siciliano". They will act as Argentine cultural ambassadors for the art of tango, which has been designated as part of the Intangible Cultural Heritage of Humanity by UNESCO. We believe La Orquesta La Juan D'arienzo to be one of the most important, influential and contemporary expressions of what Juan D'Arienzo himself loved: his own culture. 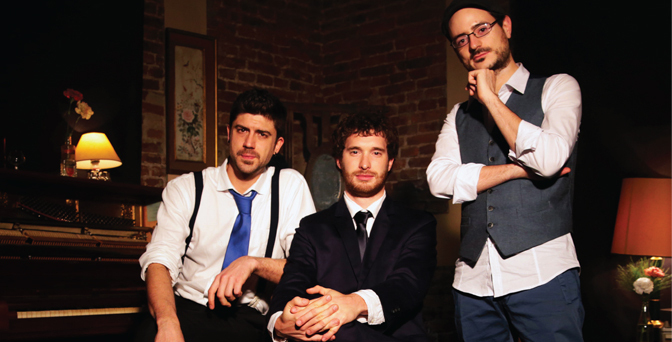 They are a tango trio with the a clear target: they want to make everyone dance and fill the dance floor! Influenced by the great orchestras of the Golden Age (Di Sarli, D'Arienzo, Caló), they have adapted some of their versions to the trio fulfilling the interpretative needs of the milongueros, true protagonists of the dance. They also have created their own repertoire. Since 2014, Los Milonguitas have been constantly elaborating and developing their repertoire, in milongas porteñas in Buenos Aires, defining their musical choices in line with the style of the most prestigious milongueros, making theirs the advice of dance professors and internationally recognised DJs. At their first European tour they joined la Juan D'arienzo in London for a fabulous double concert in May 2017 and then for a triple concert at the Siciliano in Sicily - Tango & Folklore Music Festival in Palermo in October 2017. They are now meeting them again on the same stage for this 3rd edition of the biggest event of the year in the UK. This time, Los Milonguitas will also join Diego Javier Ledesma for an Argentine Folklore concert. Couple of Argentine Tango and Folklore dancers and performers. Together they formed the Argentine folk dance group "Los Sachas Legüeros" with which they toured Argentina, presenting a show of Argentine Folklore, "Fantasía de Bombo" and "Boleadoras". Beatriz "Bety" grew up in San Luis between "Tonadas" and "Gatos Cuyanos", in a traditional family of the Sierras Puntanas. Diego was born and raised in Santiago del Estero between "Malambos de Bombo" and "Chacareras", in a traditional family, faithful to their Music and Dance customs. Santiago del Estero "Mother of cities" for being the oldest city in Argentina and "The crib of folklore" because it is where the chacarera was born. They were part of the Festival "The March of the Strings and the March of the Bombos" in Santiago del Estero and the National Festival of "Cosquin" in Córdoba. In Buenos Aires they worked for La Casa de Santiago del Estero where they gave Folklore shows all over the federal city and in the Greater Buenos Aires. They also worked on some of the biggest cruisers in different parts of the world, performing Tango and Argentine Folklore for about 2 years. In 2017 they toured Bolivia with their show "Esencia Argentina", which was very well received by the public and in 2018 they went on their first European Tour and will participate in this special event. Caio Rodriguez was born in Buenos Aires. His career as a singer began in 1983 when he won the talent competition of the television channel "Canal 13" in Asunción, Paraguay. Caio is a singer of argentine tango & folklore, a composer, an arranger and a guitarist. 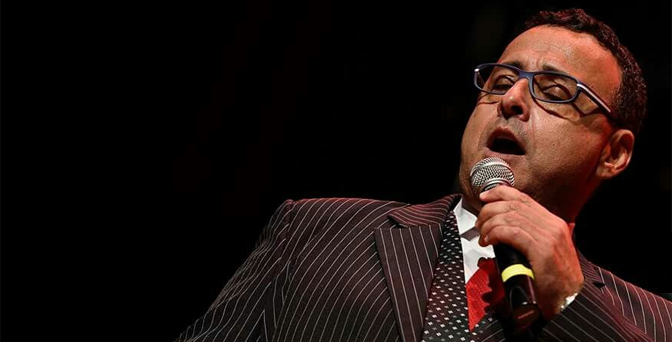 With his charismatic and expressive voice, Caio performs in milongas, festivals and concert halls. As vocalist, he works internationally with many tango orchestras also accompanying La Juan D'arienzo in concerts. Together with the "Perfume de Mujer" and the Hamburg Tango Quintet, Caio cultivates the rich heritage of singing tango. Despite the very high cost of organising this event, including moving 17 artists exclusively for this one-day festival, exclusive venue and overall increased costs, we have made every effort to keep prices as low as possible. We must, however, charge a booking fee of £0.99 per ticket in order to cover a part of the booking-related fees and commissions. To keep booking fees low we have chosen STRIPE as our payment gateway. This year we have had to add a charge for seats at tables as managing these has turned into a complex admin task and we want to make everyone's experience as smooth as possible, and avoiding disappointment. Is this a milonga or a concert? This MILONGA LIVE CONCERT is a multiple concert, mixed with a milonga, and people will be able to dance to the live music during the concerts, as well as to recorded music before and after. It is a one-day music and dance festival with many international artists gathering for an exclusive appearance in the UK. It is a unique event with a unique format. No. For such unique and special events, people usually dress anywhere from casual/smart to glamorous. After successful payment, your ticket will be sent to you by e-mail. The ticket contains a QR code, which you will need to show on your smartphone at the entrance. You can print your ticket if you wish, but showing your ticket on a smartphone is faster and saves paper. We will answer your questions as quickly as possible.